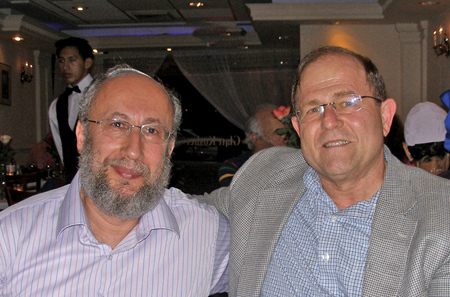 Shlomo Gurevich and David Howard in New York City Aug 2006 attending Horowitz Family Dinner, in conjunction with International Jewish Genealogical Conference. Various web pages from the worldwide Horowitz Families Association based in Israel are mirrored here to make them easier to view. Shlomo Gurevich is a primary source for many of these documents. Click on Return to FamRoots to go back to the Horwitz Family of Rezekne, Latvia that moved to Chicago about 1905. This mirror site includes the fascinating information the Association has gathered about the Horowitz families as well as their association information. Follow the Family History Link to view their family history information. Shlomo Gurevich - Shlomo is a tremendous source of information about the Horowitz families of the world. If you follow his personal link to the left you will find very interesting informationV at VA Tech. 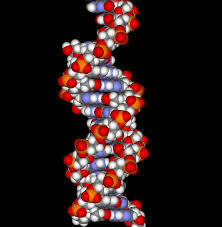 Click on the Shlomo Personal link to visit his homepage.